Microsoft finally released the first Windows 10 Redstone 2 ISO files for build 14931 two months after it started rolling out Redstone 2 builds to Fast Ring Insiders. If something goes wrong when installing the latest Redstone 2 builds, Insiders can now clean install previous builds on their PCs. 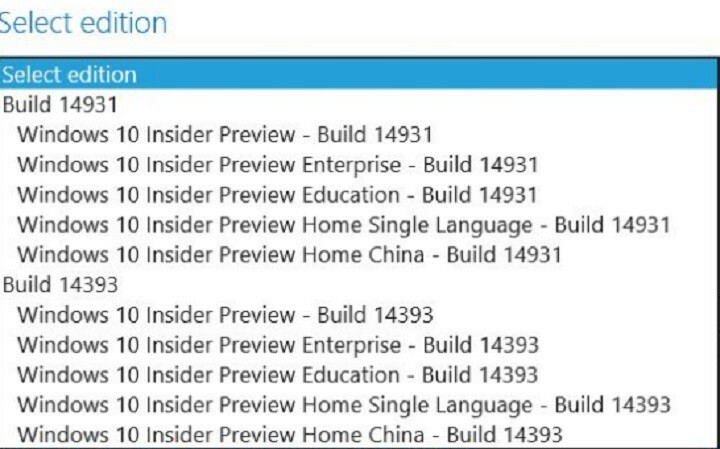 The ISO files are available for the following versions of Windows: Home Single Language, Enterprise, Education and the Home China SKUs. This is an excellent piece of news because many Insiders had lost patience and began using unsafe methods to create their own ISO files. Of course, such solutions can severely damage the OS. Fortunately, now you can download the Redstone 2 ISO files to external storage and boot your PC from it when performing a clean install. Only members of the Insider Program can access and download these files. There is also a key requirement for PCs as well: the machines need to have been activated with Windows 10 or with a Windows 10 product key. With the build’s ISO files are now available, it means that Slow Ring Insiders can download Windows 10 Redstone 2 build 14931. Oracle VM VirtualBox will crash on launch. Optional components may not work after upgrading to this build. You can download the ISO files associated with this build from Microsoft’s Support page.